During the year guild members participate in a variety of Challenges & Exchanges which are optional fun learning experiences for members. 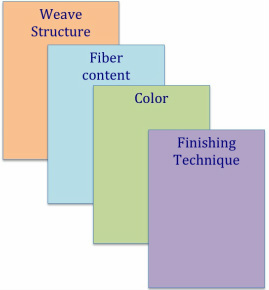 The Four Card Draw Challenge in which a member randomly draws 4 cards that represent a weave structure, a color way, a fiber content, and a finishing technique which they then must apply to a finished project. This challenge encourages members to work outside their normal weaving choices. The Beast in a Bag Challenge in which members place unwanted yarn in a brown paper bag. The bags are then exchanged and the the recipient of the bag must weave something with the contents of the bag to return to the owner of the yarn by the end of the challenge time period. This challenge promotes some very interesting and creative weaving! A Napkin Exchange in which every participant weaves 4 napkins and to exchange for 4 napkins woven by 4 different weavers. Each year the item chosen to exchange is different. For example, it could be towels, mug mats, placemats. ​The Weaver's Challenge is due at the September 2018 meeting.